The 4CITIES students in Cohort 09 will soon head to Madrid for their fourth and final semester. As a preview, the CityLab article below by Feargus O’Sullivan comments on the many efforts Madrid is making to become a greener, healthier city. Enjoy. The European city with the most ambitious plans to improve its air quality this year probably isn’t the first one that comes to mind. It isn’t one of the usual suspects like Amsterdam, Copenhagen, or Paris—it isn’t even north of the Alps. 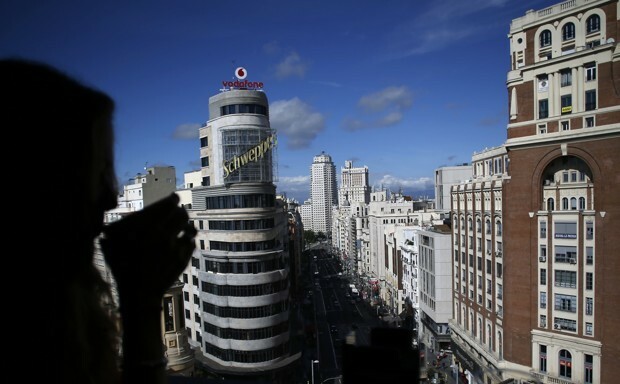 In fact, it’s Madrid, which is embarking on what, policy-wise, could be its greenest year yet. While Spain’s national politics lurch through crisis, the country’s capital is actually getting down to business to improve its poor air quality, making the city altogether more healthy and livable. It’s doing so by introducing a host of air-cleaning measures under a 30-point plan entitled Plan A—“because there is no plan B,” Mayor Manuela Carmena says. The first major change actually started last month, albeit more with a whimper than a bang. Just as it did last year, Madrid closed its main drag—the broad, often car-filled avenue Gran Vía—to cars at the beginning of December. By now, this is a well embedded tool for making holiday shopping more pleasant—but this time, it will never quite end. Cars will return on January 7, but the streets won’t be the same for long. Later in the month, Madrid plans to start doubling the street’s sidewalks, taking space from car lanes to give pedestrians an extra 58,000 square feet of space, plus a segregated bike lane down its busiest stretch. While this will reduce car space on a very busy thoroughfare, Gran Vía will soon be one of the few parts of central Madrid that admits non-local cars at all. In June, Madrid will debut its Zero Emissions Zone, which will only allow local residents, people with limited mobility, or zero-emissions vehicles to drive into most of the old city. Between June and 2020, people who own or rent one of the few central parking spots will also be allowed access, but from 2020 on they will only be allowed to park there if they have a zero-emissions vehicle. This is all to the good. Much of inner Madrid consists of knotty little streets and squares where cars always struggled to fit in. The vital role of Gran Vía and parallel avenues in connecting the wider city means Madrid will stop short of a total central car ban. The municipality nonetheless predicts that the changes will be sweeping enough to slash traffic across the city by 20 percent as people give up on the idea of driving into town. Next Next post: What Does it Mean to be a Green City?